Why Feed Fish 4 Dogs? More and more pets are intolerant to certain ingredients. These intolerances most commonly manifest themselves as skin conditions. Some of the most common culprits are wheat, beef, chicken, pork, milk, and maize. Very few pets are actually intolerant to fish. 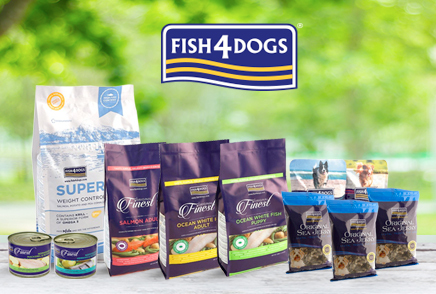 Fish4Dogs and Fish4Cats have fish as the single protein source and only use potatoes and peas as the carbohydrates, ensuring low levels of intolerances in pets. Skin conditions are exasperated by inflammation. Fish is rich in EPA, DHA and Omega 3s, which are naturally anti-inflammatory; reduce skin irritation and drastically improving the condition of the skin and coat. Fish oils promote the natural production of sebum in the body. Sebum is an oily substance that helps hydrate the skin and hair by coating it with a protective oily layer, giving the coat an extra shine. This is the first change owners notice in their pets: A beautiful healthy glow on the coat. Omega 3s are vital to pets’ health and well being. It acts as an anti-inflammatory, helping with not just coat & skin condition, but general mobility and cardiac health. However, not all Omega 3s are created equal. Omega 3s from marine sources are the most beneficial – DHA and EPA forms. Flaxseed and Linseed Oil contain Omega 3, but in order to benefit, they must first be converted to EPA & DHA. Dogs, however, lack the enzymes needed to do this efficiently. Marinesourcedomega3 is exactly what they need to take full benefit from this key ingredient. Omega 3 is also vital to help keep the Omega 6 in balance. Omega 6 is found in abundance in seeds, nuts, and vegetables, however not having enough Omega 3 to help balance it out can result in other health concerns. Reducing inflammation is a clear benefit of Omega 3. This helps with joint mobility making tired, stiff and aching joints more supple. Brain function, memory, and behavior also benefit from Omega 3 as it is found in high concentrations in the brain. It is proven that Omega 3 found in Fish4Dogs food can help improve some joint conditions, especially in older dogs. - Reducing joint inflammation as it is rich in Omega 3, which is a strong natural anti-inflammatory. - Reducing cartilage breakdown: Fish are rich in cartilage, a natural source of Chondroitin and Glucosamine which, like Omega 3, helps to reduce cartilage breakdown and inflammation. There is also evidence to suggest that Omega-3 fatty acids can reduce cartilage breakdown by switching off the aggrecanases and other collagen-degrading enzymes that break down joint cartilage. Soafishrichdietcan help keep those joints nice and supple. It is a well known that obesity has become an epidemic and dogs are no exception. Approximately 40% of dogs in the UK are obese. Otherlifethreateningailmentssuch as heart disease, diabetes, arthritis, and other mobility problems stem from being obese. Fish4Dogs foods have the average calories you would expect in dog food. However, there is a lower calorie option that has lower proteins and fat levels which is great for a weight controlled diet. With a large variety of low calorie treats such as the Fish4Dogs Sea Jerky, which is 100% baked fish skins and have as few as 3 calories per treat. You certainly cannot go wrong! 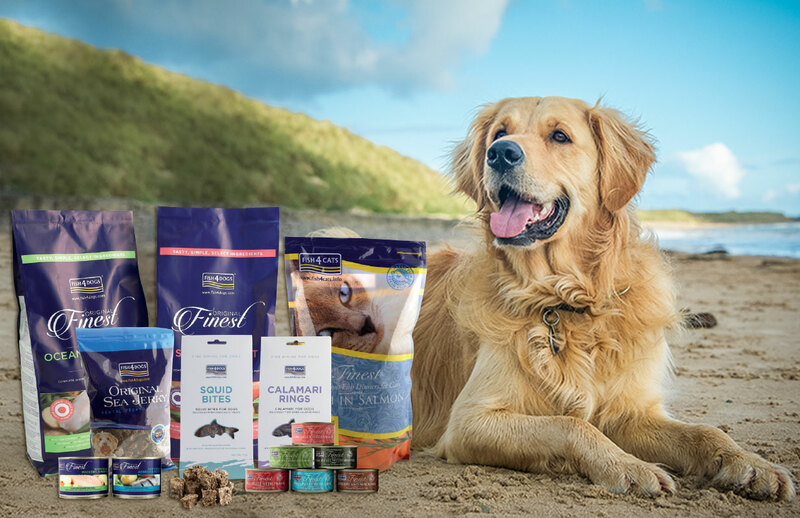 Fish is a high quality, easily digestible protein and so a fish rich diet can help ensure your dog is extracting all the nutrients, vitamins, fats, sugars and proteins they need to stay healthy. 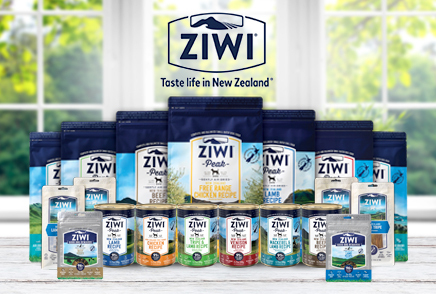 Fibre in food is vital to slow down digestion and gives a slow steady release of dietary sugar, our food is great for diabetic dogs. 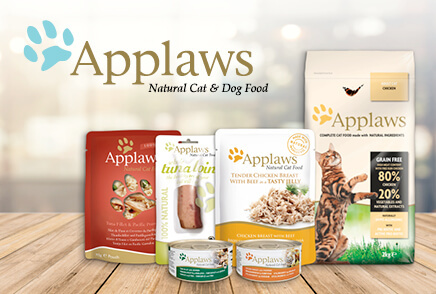 All Fish4Dogs foods contain around 2.5% of fibre. Carbohydrates in dog food serve two functions: providing energy and binding ingredients together. Many companies use cheap lower priced grains to help keep production costs down. These grains have a tendency to break down quickly, releasing glucose levels rapidly into the bloodstream. These carbohydrates tend to have a high Glycaemic Index (GI) – which is the measure of the effects of carbohydrates on blood sugar levels. Spikes in blood sugar levels can reflect in spikes of energy levels and can lead to obesity. Both Potatoes and peas break down more slowly, having a low GI, which helps your dog feel fuller for longer.